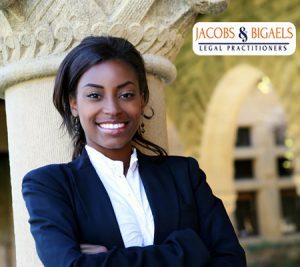 Jacobs & Bigaels is a firm of Barristers and Solicitors of the Supreme Court of Nigeria. We have our principal office in the commercial area of Ikeja, the Capital city of Lagos State (regarded as the commercial nerve-center of Nigeria). All the lawyers in our firm have their current Practicing Certificates and are in good standing at both the Supreme Court and their local Chapters of the Nigerian Bar association (NBA). The law firm was founded by Barrister Manuel Akinshola, who was called to the Nigerian Bar in March 1995 and has been in active legal practice ever since then. He remains the Managing Solicitor, leading the firm with his wealth of experience garnered over the years. Our Managing Solicitor is also admitted to practice as Solicitor of the Supreme Court of England & Wales and is regulated by the Solicitors Regulation Authority (SRA). He has his current Practicing Certificate issued by the SRA and remains a solicitor in good standing. For this reason, we have a contact office in the UK.